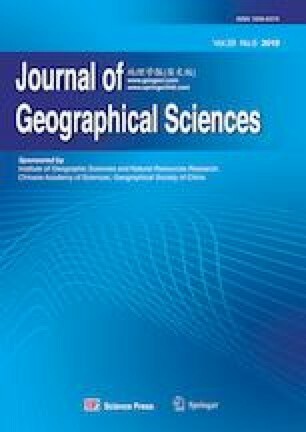 An outline of this paper was presented in Yulin City at the First Conference of the International Geographical Union’s Commission on Agricultural Geography and Land Engineering (AGLE) in September 2017. The authors are grateful for input from delegates following this presentation. The second author wishes to thank Dr. Zhongxue Zhou for guidance, advice and support received. Australian Taxation Office (ATO), 2018. Register of Foreign Ownership of Agricultural Land–Report of registrations as at 30 June 2016. Retrieved 15/00, 2016. from https://firb.gov.au/about/publication/register-of-foreign-ownership-of-agricultural-land/. Cherry Growers Australia (CGA) Inc., 2018. Market statistics. https://www.cherrygrowers.org.au/market-statistics/. (accessed on 18.03.2018). CGASA, 2017. Your guide to the growers. http://www.cherriessa.com.au/wp-content/uploads/CHERRY-MAP-2017-FOR-WEB.pdf. (accessed on 31.03.2018). Cherry Growers Association of South Australia (CGASA), 2018. Industry info. http://www.cherriessa.com.au/industry-info/. (accessed on 18.03.2018). Department of Foreign Affairs and Trade (DFAT), Government of Australia, 2018. Australia and foreign investment. http://dfat.gov.au/trade/topics/investment/Pages/which-countries-invest-in-australia.aspx. District Council of Mount Barker (DCMB), 2018. District Council of Mount Barker tourist visitor summary. https://economy.id.com.au/mount-barker/tourism-visitor-summary. (accessed on 19.03.2018). Jaros K A, 2013. Forging a metropolis: State-led urban development in Xi’an, China. Centrepiece, 28(1). https://wcfia.harvard.edu/publications/centerpiece/fall2013/feature_jaros. Marble Hill Cherries, 2018. http://www.marblehillcherries.com/about/. (accessed on 5.03.2018). Mount Lofty Ranges World Heritage Bid, 2018. Kaurna support. http://www.mountloftyranges.org/. (accessed on 12.03.2018). Produce Report, 2017. Cherries become king: China’s 2016 imported fruit market in review. http://www.producereport.com/article/cherries-become-king-china%E2%80%99s-2016-imported-fruit-marketreview. (accessed on 8.03.2018). Sangbe, 2018. A group of pictures to understand the difference between the original white deer and the original. http://www.sangbe.com/article/317007.html. (accessed on 24.02.2018). Statista, 2018. Retail sales volume of fresh cherries in China from 2010 to 2018 (in thousand metric tons), https://www.statista.com/statistics/692939/china-total-sales-volume-of-cherries/. (accessed on 8.03.2018). World Atlas.com, 2017. Where do cherries grow? https://www.worldatlas.com/articles/the-world-leaders-incherry-production.html. (accessed on 17.12.2017).